Easy Strawberry Shortcake - San Diego Dining Dish! It's officially strawberry season in SoCal! It's that time of year that strawberries are cheap, prodigious, and bursting with sweet flavor. It really is my favorite time of year here, with all of the amazing fruit in season, beautiful flowers blooming, and nice, temperate weather. It's really Heaven on Earth! After getting a lot of requests to share my recipe for strawberry shortcake, I managed to write out my recipe for a delicious, simple dessert that relies mostly on the flavor of the fresh strawberries for it's sweetness and vibrance. 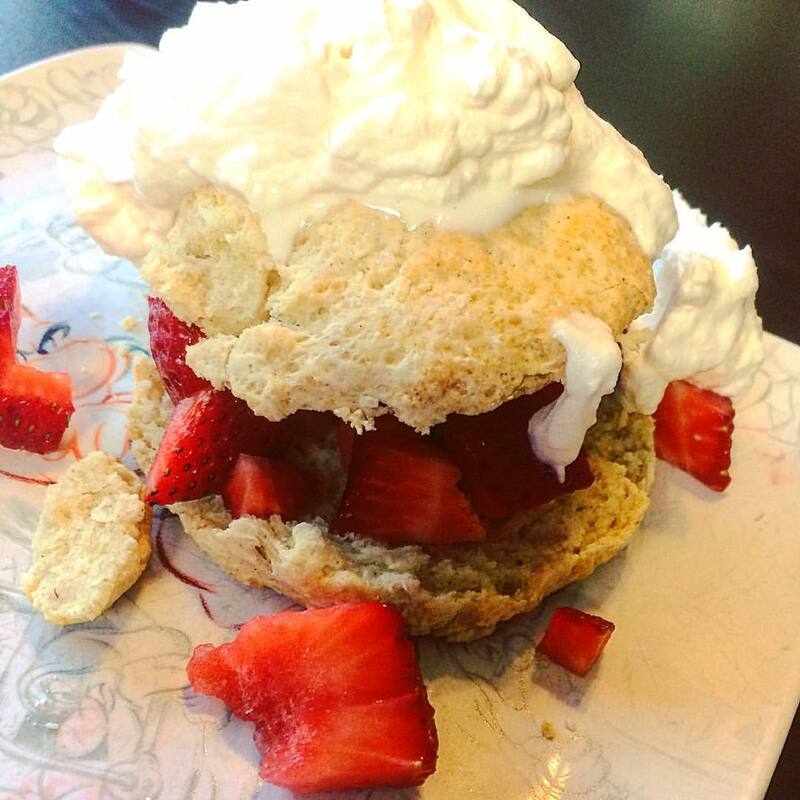 I make it with a homemade sweet biscuit, sweet homemade whipped cream, and of course, only the best strawberries! This dessert is best eaten the day that it is made, and fresh fruit is preferred. Using an electric mixer, beat the cream and sugar together until fluffy peaks appear. Taste and add more sugar if you want it sweeter. Preheat the oven to 425 degrees. Combine the flour, baking powder, baking soda, sugar, and cinnamon. Cut the butter into tiny squares, and work in with a pastry blender or your fingers. You can also mix these with a food processor to make things really simple. Add the yogurt and milk, and mix until the dough binds. It will be a solid bulk. Remove and roll out, rolling until about 1 inch thick. Use flour to keep it from sticking. Cut into circles (or shape with your hands) and place onto a cookie sheet. Bake for 15 minutes, until golden. Allow the biscuits to cool before slicing each horizontally, then packing with the chopped strawberries, and topping with the whipped cream.